Midway through the first written story known to the world, The Epic of Gilgamesh, there occurs a passage of terrible grief. Gilgamesh, the hero, loses his closest friend and fellow warrior, Enkidu. There is nothing they can do, despite the many battles they have fought, to stave off death. Enkidu, forewarned, rushes into anger, and from there into lamentation. He reproaches his friend for not being able to save him—“you did not rescue me, you were afraid and did not”; from his deathbed, he calls to the friend who has abandoned him simply by not being able to follow him into the land of death. Gilgamesh’s grief and mourning is indeed epic; the first recorded story in human history dwells on his growing realisation of the gap death leaves in his life. He roams the wilderness, and finally, he goes to the Netherworld, to ask about Death and Life. This is a journey into darkness– “dense was the darkness.. it licked at his face”—unending and vast. And yet his love for his friend, and his need for some kind of understanding, takes him through the darkness, to whatever lies on the other side. If the old, great tales, from Gilgamesh to the Odyssey, the Mahabharata and the Norse sagas, are reminders that grief and loss are part of the human experience, Sonali Deraniyagala’s Wave strips away all the armour we build up over the years, the immunity we develop as a reaction to stories of wrenching sadness. Nothing you read this year will move you more deeply than her story. The act of will it took for her to write it all down—to sift through memory and fact in order to do so, and to apply craft to this story, of all stories—is hard to imagine. In 2004, Deraniyagala and her family were taking a break from their busy life in London to holiday in Sri Lanka’s Yala National Park. The day after Christmas, Sonali stood in the doorway of her hotel room, chatting with her friend Orlantha, and noticed that the ocean seemed a little closer to the hotel than usual. In the next few hours, everything she held closest to her heart would be lost. The waves build; she calls her husband, Steve, to come out right now. They make it to a jeep driven by a friend, holding their two boys on their laps—Steve holds Vik, she holds Mal. Her parents don’t make it into the jeep. Orlantha’s mother falls out; Orlantha’s father, Anton, gets off to look for his wife. Then the jeep starts off, and in a matter of moments, the water is upon them. Sonali remembers the jeep overturning, the look of terror on Steve’s face, the rush of the brown, filthy water, a flock of storks in the sky as she floats on her back, a strange boy floating past, never to be seen again. She would hear the word ‘tsunami’ only much later, along with the word ‘mahasona’—the demon of graveyards. When she is found by a group of men—in her recollection at the time, she is curled up in the mud, clasping her knees—the list of losses is unthinkable, beyond her mind’s reach. Steve, her sons Vikram and Malli, her parents—the five people she loves most in the world—are dead. Orlantha, her friend, and her friend’s mother are gone, too. Deraniyagala does not want to know any of this; when a truck comes in, carrying bodies, to be met with an “unending, rising, screaming scream”, her voice is not raised along with the voices of the others who have suffered loss. This is grief, not the salt tears of our imagination, but the reality Deraniyagala describes. Her family and friends keep a vigil on her; she slashes her arms with a butter knife, she burns her skin with cigarettes, she patiently hoards sleeping pills, thinking only that she must, at some point, kill herself. She becomes for a period a steady drinker, using the bottle in much the same way as the knives and the cigarettes. For the Dutch tenants who take over the house her parents lived in, she becomes a nightmare, ringing their doorbell, leaving blank calls where the angry ghosts of her grief are allowed free reign, driving recklessly into and out of their lives. “All that was reasonable in this world had been blasted by that wave,” she writes. We know nothing about Steve, Vik and Malli when Wave begins, but as Deraniyagala writes, their shapes emerge. This is treacherous terrain—the world, in the aftermath of the tsunami, is filled with triggers, Tesco Ready Salted Chips, Coltrane and a child’s T-shirt as deadly to Deraniyagala as land mines. 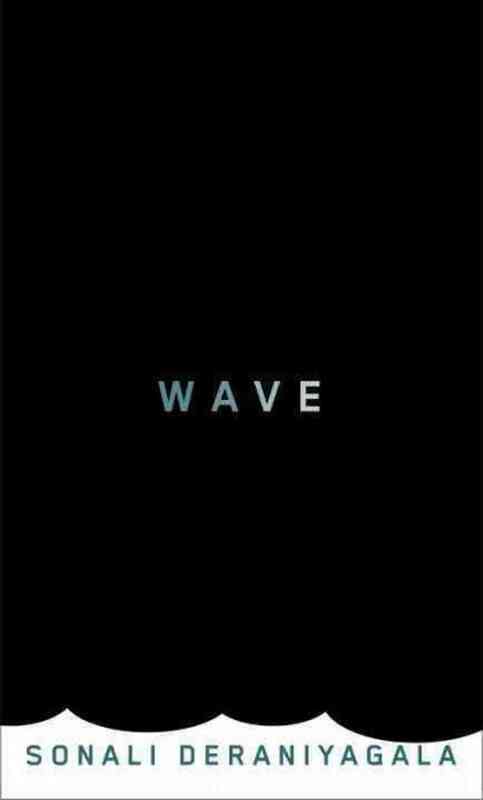 And this is where Wave becomes extraordinary. In order to capture the ordinary, blessedly everyday texture of the lives they once had as a family, Deraniyagala must reach behind the barbed wire fence of memory, walk through the tripwires that lurk in even a blade of grass that her sons might have walked on. But she does make it through the darkness to let all of us strangers and readers see them as they were, an ordinary family, before the tsunami. She retrieves the people who made up her circle of love, makes them vivid on the page: Stephen Lissenburgh, Vikram Lissenburgh, Nikhil Lissenburgh and the one left behind, Mummy Lissenburgh. There are no easy redemptions in Wave, none of the soothing and empty platitudes of self-help books on grief. Instead, in New York, Deraniyagala finds the distance from which she can reach for her family. “For I am not whirling any more, I am no longer cradled by shock.” How do you cope with the loss of everything you once loved most in the world? She has few easy or comfortable answers; there is just the honesty of this extraordinary book. Nilanjana Roy’s review of Wave – the story of death, survival and grief – propels me to the bookstore. Nobody needs to know the depth of emotional horror Sonali Deraniyagala has experienced, yet through her journey we can understand a little more of the human condition. The power of books.